Thanks to Tom Jones I was able to work with him again on the remake of The Loft 2014. I built this responsive site with an awesome Calendar with built in E-Commerce! The Loft has a bar and stage on the second floor, and a restaurant on the bottom. Therefore, we had to have a way for people to purchase tickets to the shows that are held on the stages. The way people found out who was playing on the stage was by visiting the calendar. The old method of changing the calendar involved Google Calendar, and in the new system I used Time.ly for the Calendar. 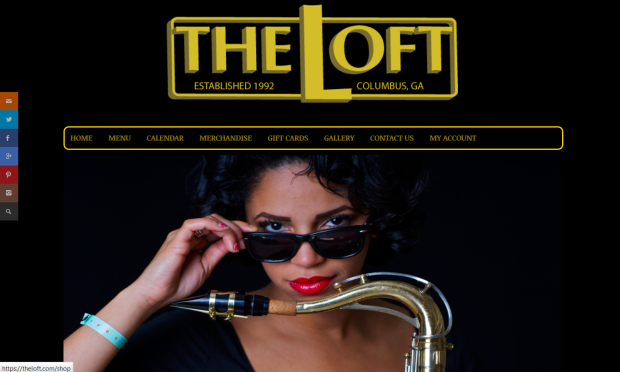 Our old Zencart E-commerce site, The Loft Boutique, was outdated and not very mobile friendly, and therefore I used Woocommerce instead for providing our customers with tickets to shows they can purchase. All of the code on this site is mine, and I host the website as well.